Hongjiang completed his Bachelor’s degree in Electrical Engineering in China, then started work in MRI seven years ago for his PhD in France. He was interested in using cardiac DTI to study myocardial fiber architecture. 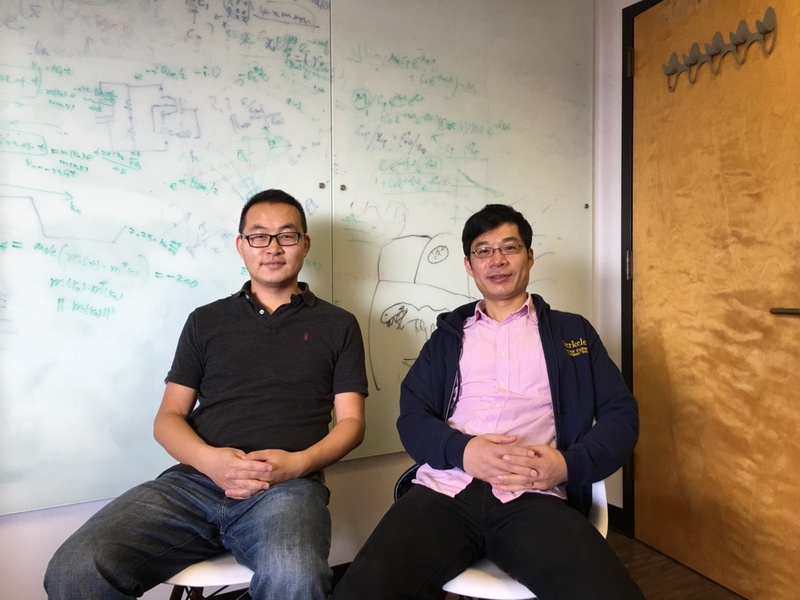 Towards the end of his PhD, he found, “QSM was even more interesting.” Hongjiang contacted Chunlei after the completion of his PhD in 2014, and was offered a postdoc in Chunlei’s lab at Duke University. Chunlei initially planned to get a PhD in solid state physics, but his main interest has always been how to use physics to study the brain: “I study these fundamental laws of physics, but then I realize there are so many things we cannot fully understand using only these laws… and subjects like biology become intellectually fascinating.” Chunlei recently decided to continue with his brain exploration at UC Berkeley, after having spent seven years as a professor at Duke. Chunlei has been at the forefront of QSM development, applying this technique to brain, heart, and even kidney. 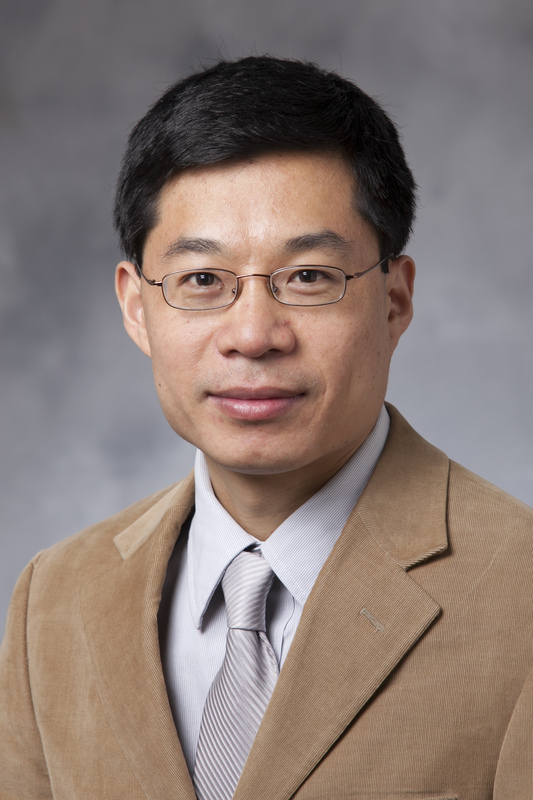 Recently, the knee captured his interest, “It is like everything we do; once you have a hammer, you think everything is a nail.” It was the white matter anisotropy in the brain that led Chunlei and colleagues to look at other tissues that would potentially have a similar effect, such as the knee: “QSM gives a pretty unique anatomical contrast between the different knee tissues; for example, the nerve is pretty diamagnetic with respect to the surrounding tissue.” With previous studies showing distinct diffusion patterns in cartilage, they were curious to see if they could observe substructures in the knee using QSM. To support this, Hongjiang shared a second paper, published in the same issue of MRM, on their histological validation studies using Atomic Force Microscopy which can be found here. We asked our authors to comment on how QSM may be similar or different to other approaches that enable visualization of structures in the knee. 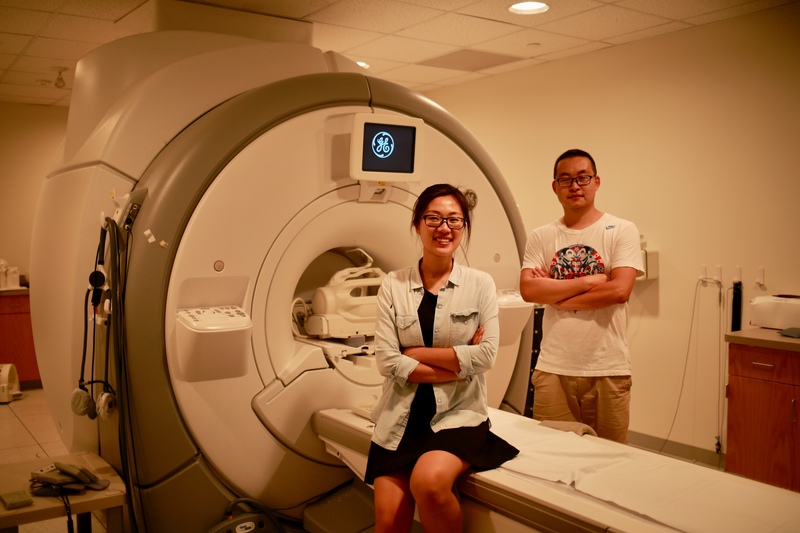 Yuyao Zhang (left) & Hongjiang Wei (right) at the Brain Imaging and Analysis Center (BIAC) at Duke University. 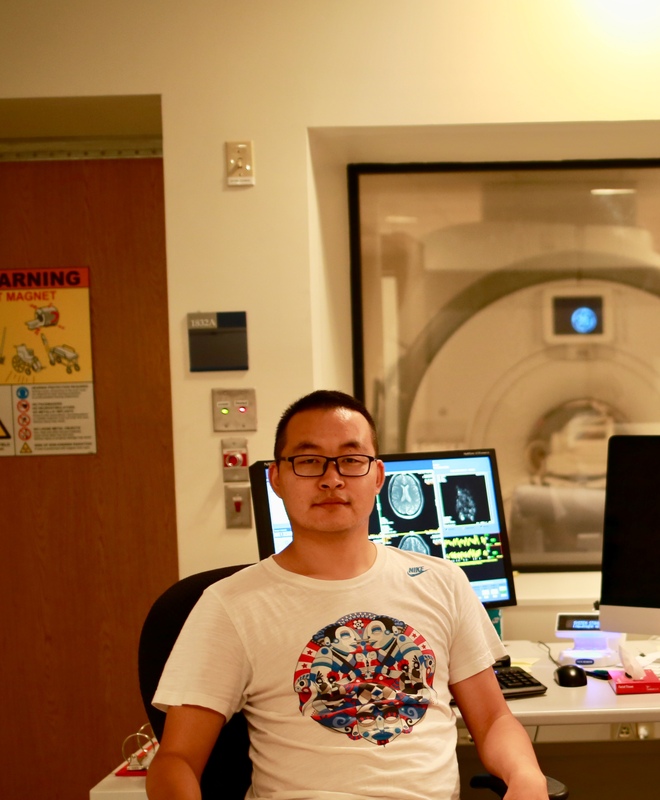 Hongjiang is already taking the next steps, with an ISMRM research exchange fellowship award. He is collaborating with Ruijin hospital in Shanghai to investigate QSM for the knee in aging, as well as in diseases such as osteoarthritis.